My Income Has Changed and I Can No Longer Afford Child Support – What Should I Do? If you are the non-custodial parent of a child, there is a very strong likelihood that a Colorado court has ordered you to pay recurring child support payments. If you and your child’s other parent are on decent terms, you should give them as much heads up as possible about the fact that your income has changed and that you will be seeking modification of a support order. As a note, telling the other party that your income has changed does not mean that you can stop making payments. But it is a common courtesy that may make getting the modification for a child support order approved easier. There are steps that you will take to seek a modification of your child support order. But until that order is granted, you still have a legal duty to keep making your payments. If you have a court order to make child support payments and fail to do so, there can be financial and legal consequences. Hopefully, you will have a little bit of time to take action in between the points that you run out of money and are able to change your child support order. Remember, simply not making payments because you experience a change in the amount of income you make is not acceptable. As soon as you are able, you should file a motion to modify your child support order. While most reviews of child support orders happen every three years in Colorado, you can request a modification. Even if, it has been fewer than three years and experienced a change in circumstances that is substantial and continuing. 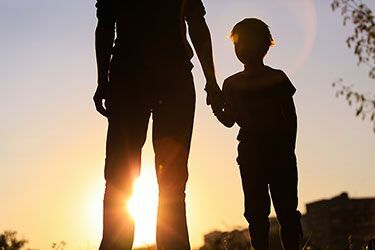 As found in a publication issued by the Office of Child Support Enforcement, the legal standard for a modification of a child support order is a significant change in circumstances. Which is quantified as a 10 percent variance in the child support order. At the law offices of Bloch Chapleau, LLC, we understand the financial strain that you may be experiencing if you have a child support order but cannot afford to make payments on that order. When you call our law offices, we start working on your case immediately to help you modify your child support. We can gather evidence to prove a substantial change in circumstances, and represent you throughout the process. For a consultation, please call our law office today or send us a message at your convenience.